What is coral exactly? Is it a pinky-orange, an orangey-pink, a blush tangerine or just a neon red-orange? Yet, regardless of the name it most certainly is not the color of coral! I see a huge surge in matte nail art and I cannot help but jump on board! Matte all the things! I used 3 coats of Sephora by OPI Cover Me in Petals as my base. I used Cult Nails Captivated on all fingers except ring. I detailed with Sally Hansen Blue My Mind, Color Club Almost Famous, Milani Colorful Coral, and OPI Pros & Bronze. I sealed everything with Seche Vite before adding a generous coat of Essie Matte About You. 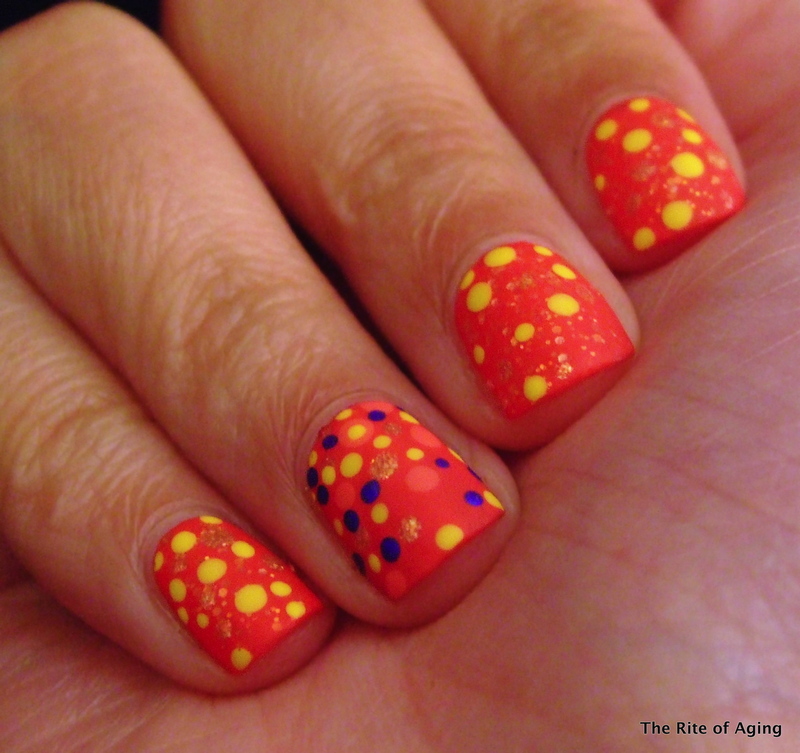 Don’t forget to check out the other Coral manicures today!